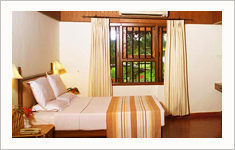 The Aquasserenne Resort, as its name implies, is a serene spot surrounded by a ‘water world’. This unique ecosystem, combined with the traditional ethnic architecture and warm gracious service on offer, make the stay at this 3-star property with 28 villas an unforgettable experience. 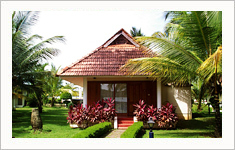 Each Villa is an architectural masterpiece in which the time-proven principles of the ‘thachushastra’ aesthetically blend with the comforts of modern amenities in an eco-friendly atmosphere and heritage ambience. 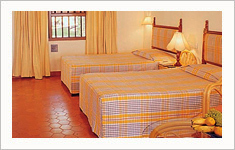 The wood works were acquired from dismantled ancient aristocratic mansions of Kerala over a period of 6 years. With an exhilarating view of the serene backwaters on three sides, the air-conditioned multi-cuisine restaurant, AQUAFONTANA, is itself a feast to the senses. From a traditional whole-spectrum and sumptuous Kerala Sadya (ceremonial dinner) served on a banana leaf to Thai and Country American gastro-delights prepared by a qualified executive chef, every morsel tickles your taste-buds. 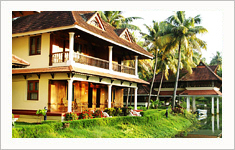 Scrumptious preparations of Kerala, Indian, Continental, Chinese and Mediterranean delicacies, served with a warm and gracious hospitality of unique finesse, will mesmerize you. 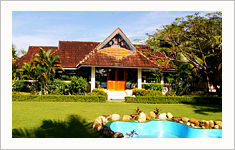 Organic vegetables grown in the premises are carefully selected for the vegetarian dishes. The Restaurant also offers high chairs, nanny service and kids’ menu on request. Prior reservation is advised for candle-light dinners and for dinners on Saturdays and Sundays. There will be at least one International Cuisine Promotion each month. A romantic candle-light dinner can be arranged on request outside the restaurant also – by the pool side or the privacy of your own villa.